If you feel at home in the northern Midwest and would love to hit the road by car, how about starting in Minneapolis or St. Paul? You could head for a weekend getaway in nature or a full-fledged vacation ending in the east at the Michigan Cherry Festival or in the west in the Black Hills of South Dakota. There is a multitude of possibilities in between that a couple or the whole family can really enjoy. Here are a few ideas for romantic trips, city breaks, active trips and adventures, summer and winter getaways, and longer road-trip vacations. Itasca State Park lies at the headwaters of the Mississippi River. Just a few hours north, the mighty Mississippi begins as a stream you can tiptoe across with a few steps. Camp at the park, find a nearby cabin, or stay in the historic town of Detroit Lakes. Explore the North Shore and Highway 61. Highway 61 starts in Duluth, but the true North Shore experience starts about an hour north of Duluth when the road starts getting more and more scenic. Visit historic Split Rock Lighthouse and gorgeous Gooseberry Falls, the tallest of several waterfalls in the area. Admire Palisade Head, some of the tallest cliffs on the lake, and shop for Lake Superior Agates and local crafts at stores along Highway 61. The North Shore is one of the best areas in Minnesota to view the state's magnificent fall colors. Several small towns in the area have lodging, such as camping, cabins, motels and fine hotels, as well as plenty of restaurants for casual or fine dining. New Ulm, less than two hours from the Twin Cities, has a charming German downtown, tours of the historic Schell's Brewery, family-friendly Flandrau State Park, hiking and bike trails, and many annual festivals and cultural events. Lutsen Mountains, about four hours north of Minneapolis, has the biggest ski and snowboard area in Minnesota. At nearby Lutsen, there's cross-country skiing, snowshoeing, snowmobiling, dogsledding, ice climbing and more winter recreation. Hotel specials include tickets for lifts on the Lutsen Mountains. Look for hotels with hot tubs; there are several in the area. Bayfield, Wisconsin is on the shore of Lake Superior and is a great getaway in both summer and winter. In the summer, you can visit the remote Apostle Islands. In the winter, if the lake has frozen deeply enough, walk out to see incredibly dramatic ice caves that form on the cliffs overlooking the lake. Bayfield also offers opportunities for snowshoeing, cross-country skiing, and dogsledding. Keep an eye out for a hotel or cabin with a hot tub to warm up after a day of fun in the snow and ice. The St. Croix River Valley forms the border of Minnesota and Wisconsin. Several cities, all within an hour or so of the Twin Cities, are good spots for weekend retreats, from Taylors Fall, northeast of the Twin Cities, to Osceola, Stillwater, Red Wing, Wabasha, and Winona in the south. All these towns have old-fashioned downtowns, charming hotels and motels, plenty of pretty scenery, and locally owned restaurants. Altogether, they make for a peaceful getaway that doesn't require too much drive time to get there. Ely, in northern Minnesota, is on the border of the beautiful Boundary Waters Canoe Wilderness. Reserve one of the many remote cabins set in the gorgeous scenery on the shore of a lake, and you'll feel as though you've truly gotten away from it all. Take a canoe out and be the only people on a lake or hike through the woods without seeing another soul. Almost anywhere in Ely, you're within easy reach of the city and its restaurants and stores. Ely is also home to two conservation organizations, the International Wolf Center and the North American Bear Center; both are open to visitors. Chicago is a seven- or eight-hour drive from Minneapolis, and it has everything you'd want in city attractions: world-class hotels, shopping, restaurants, museums, galleries, nightclubs, sightseeing, events, and more. Watch for toll booths, and expect heavy traffic as you approach the city. Duluth grew up around a major port on Lake Superior, and the city's industrial charm doesn't appeal to everyone. It's not a lovely place by any means, but the notable lift bridge and the comings and goings of giant container ships are surprisingly interesting. Views from the top of the hill looking out over the lake are beautiful. 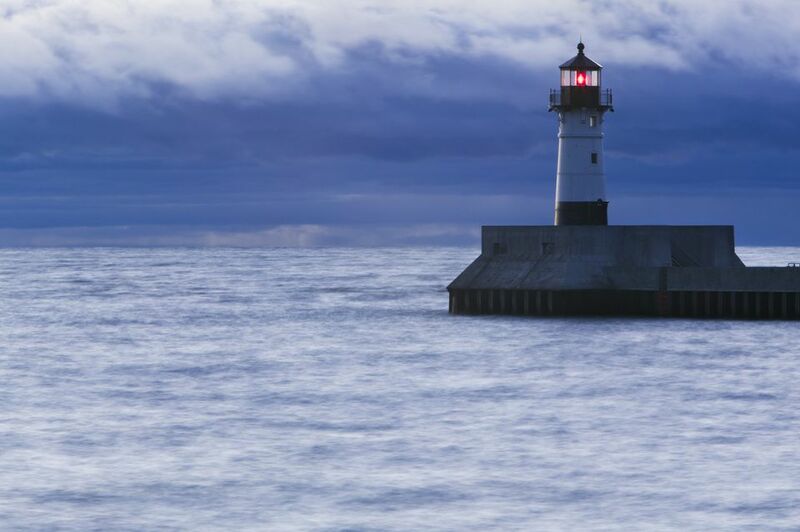 Kids love Duluth, where the city's aquarium, the large railroad museum, the zoo, and the children's museum can easily fill a weekend. There are several family-friendly restaurants in town, mostly in the Canal Park area on the lake. There's also plenty of opportunities for kid-friendly outdoor recreation in the summer and winter with nearby parks and forests for hiking, skiing, rock climbing, mountain biking, and even surfing on Lake Superior. Outlet malls and water parks in the Wisconsin Dells, about four hours away, offer the Circus World attraction, candy outlet stores, and plenty of family-friendly hotels and restaurants in or near the city of Baraboo. Devil's Lake State Park is also near town, as is the bizarre Forevertron, a collection of gigantic sculptures made from salvaged scrap metal. Michigan, the next state to the east, offers many destinations for summer and winter road trips. The Upper Peninsula has empty white sand beaches along Lake Superior, gorgeous scenery such as Pictured Rocks National Lakeshore, weird roadside attractions, historic mining towns, cheap lodging, and the fun college town of Marquette. The Lower Peninsula has many more miles of shoreline, Sleeping Bear Dunes, historical attractions, interesting towns and cities, and famous festivals like the National Cherry Festival in pretty Traverse City. The Upper Peninsula can be reached fairly quickly from the Twin Cities; starting from Minneapolis, you can reach to the Wisconsin-Michigan border in about six hours. The Lower Peninsula is a longer drive, roughly eight hours to reach the Michigan state line, but you can take a car ferry from Wisconsin to Michigan, which allows you to skip Chicago and many miles of driving. The Black Hills of South Dakota is the site of a mountain range, beautiful forest, and breathtaking monuments. As you head across the prairie of southwest Minnesota and the plains of South Dakota towards the Black Hills, you could be forgiven for doubting that the Black Hills lie before you. The hills are home to Mount Rushmore and the Crazy Horse Monument, which would be reason enough to visit just by themselves. You can also find Custer State Park, the Needles, miles of hiking and mountain biking, roadside attractions and old-timey family entertainment. It's roughly 10 hours from the Twin Cities and highly recommended. Check the Black Hills event calendar, since major events like the Sturgis Motorcycle Rally may affect your travel plans. Need Spring Break Ideas for Trips From Minneapolis and St. Paul?